The Gateway to Lake Tahoe! WELCOME TO THE OLD WEST! LOTS OF FUN AND EXCITEMENT FOR THE WHOLE FAMILY! AT OUR PRIVATE RV MEMBERSHIP RESORT! Need more days like this? Ghost Mountain Ranch located in the Sierra Mountains, nestled among the tall pines is the gateway to South Lake Tahoe! 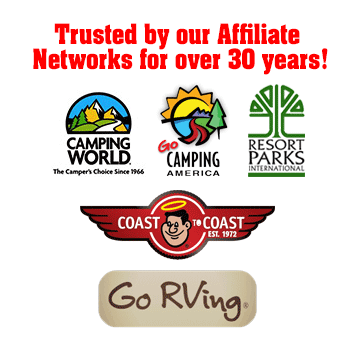 Come and find out why this is the best RV Camping near South Lake Tahoe. Originally designed by Paramount Pictures, this resort was once the set of the popular TV series “The Virginian”and perfectly captures the pure essence of old west life. A vintage ghost town complete with a saloon, ice cream parlor and general store are only the beginnings of its delightful charm. The spacious campsites and rental cabins are surrounded by miles of hiking trails and streams to explore on this amazing 325 acre preserve. Don’t forget to pack your poles, tackle and bait because it’s time for you to reel in the big one, at our very own stocked Fishing Pond. Located in the resort we have a large, crystal clear swimming pool with a seasonal snack bar that is guaranteed to be a big splash! The areas surrounding our 350 acre campground has dozens of trails and literally hundreds of square miles to explore by horseback! Hiking in the Sierras is a trail hikers dream come true! El Dorado National Forest has hundreds of miles of beautiful hiking trails all located nearby. Fill your days with activities at the pool, fishing at the pond or hiking in the woods. Then spend your evening visiting South Lake Tahoe, which is located a short drive from the resort you can enjoy skiing, boating, bike trails, blackjack ice skating or bar hopping in South Lake Tahoe. Book your reservation today! BOOK YOUR FREE STAY NOW!